Goodison Park officially opened on 24 August 1892 with an athletics event. The first match, between Everton and Bolton (4-2), was played 9 days later. Everton had previously played at Anfield, but a dispute over the rent drove them out. 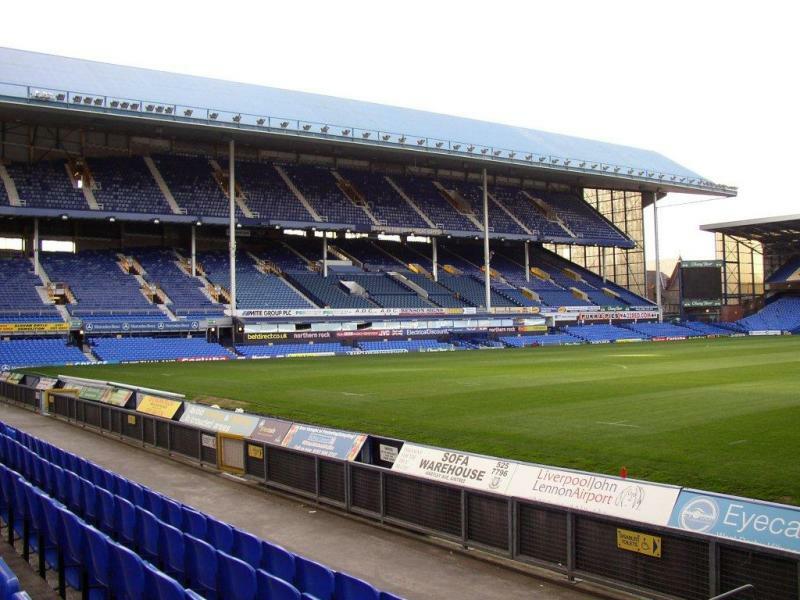 Goodison Park initially consisted of one covered seating stand, two uncovered terraces, and a running track. In 1894, it hosted its first FA Cup final. Notts County beat Bolton in front of a 37,000 crowd. 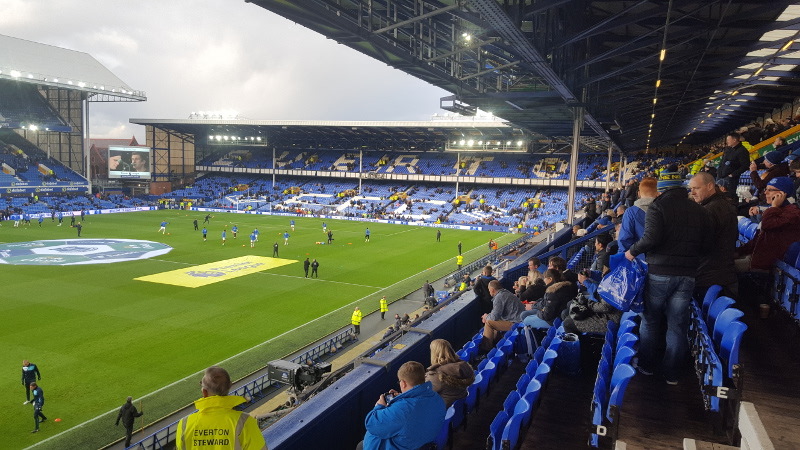 The stadium got quickly developed in the early 20th century, first with the construction of a double-decker stand at the Park End in 1907, and next with the large Goodison Road Stand in 1909. The running track was also removed. 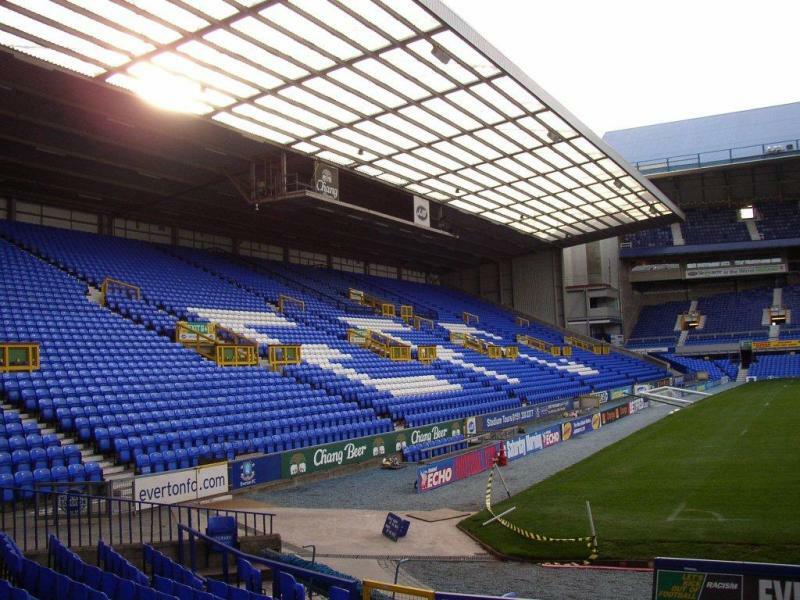 The new double-decker Goodison Road Stand had been designed by renowned architect Archibald Leitch. 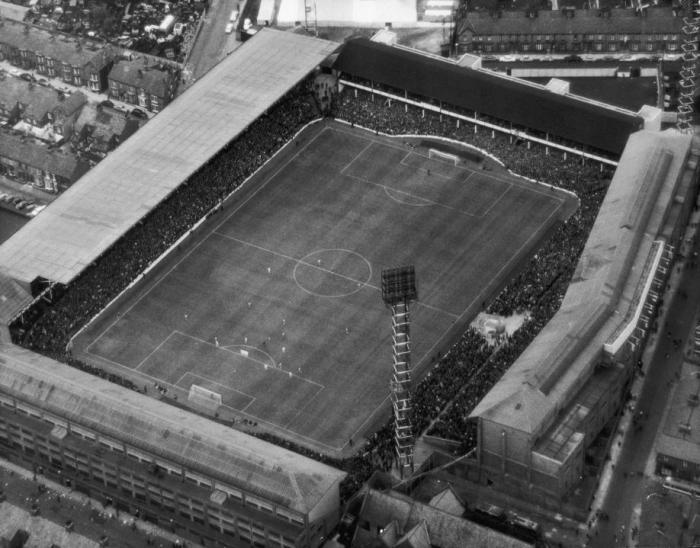 At that time, Goodison Park was considered the best ground in Britain. Archibald Leitch also designed the next two new stands of the ground. 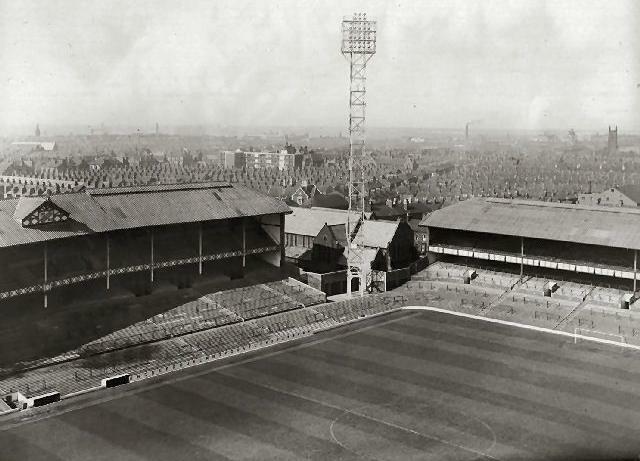 The first was the new Bullens Road Stand in 1926 and the second the new Gwladys Street End in 1938. All stands were two-tiered. On the 18th of December 1948, Goodison Park recorded its highest attendance in a match between Everton and Liverpool. A total of 78,299 supporters visited the match. 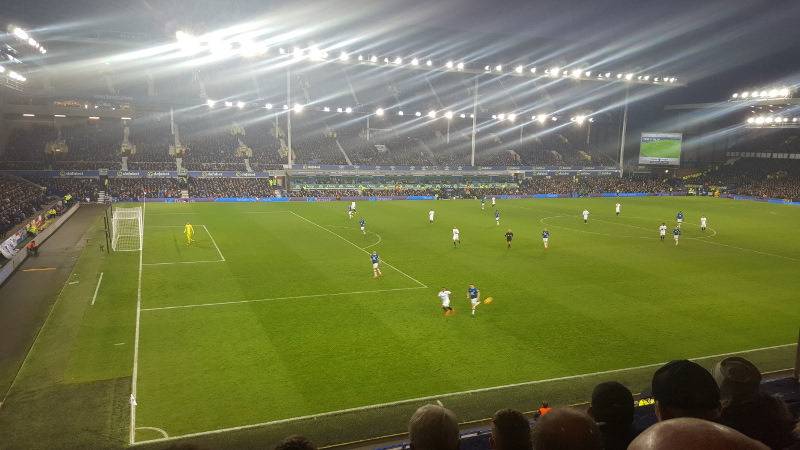 Goodison Park was one of the playing venues of the 1966 World Cup, during which it hosted three group matches, the quarter-final between Portugal and North Korea (5-3), and the semi-final between Germany and the Soviet Union (2-1). The stadium remained largely unchanged until in 1971 a new three-tiered main stand was built in place of the Goodison Road Stand. At that time the stadium could hold about 55,000 fans, slightly less than half seated. 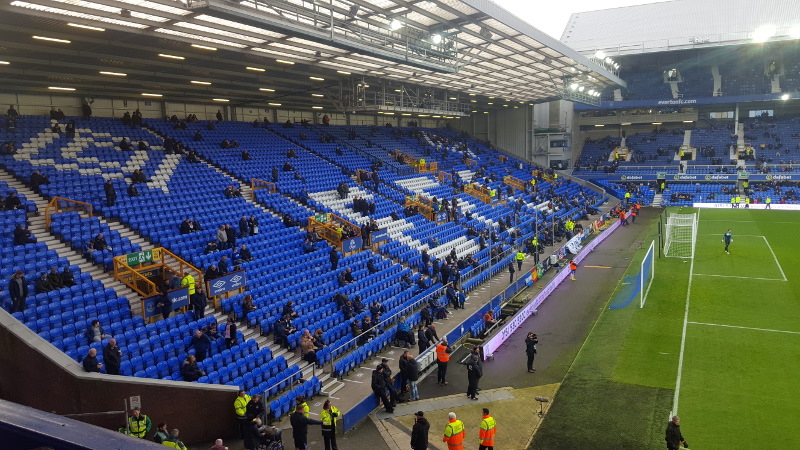 In the 1990s, following the Hillsborough disaster and Taylor report, Goodison Park got converted into an all-seater stadium, which reduced capacity significantly. In 1994, the last major development took place when a new stand got built at the Park End. In the last fifteen years, Everton have been actively pursuing a move to a new stadium, first at King’s Dock and later in the Kirkby area, but both times plans fell through. After a break during which efforts were paused, the club recently picked up their pursuit for a new stadium again, focusing on a site at Liverpool’s waterfront north of the centre and one in the Croxteth suburb in the north-east of the city. 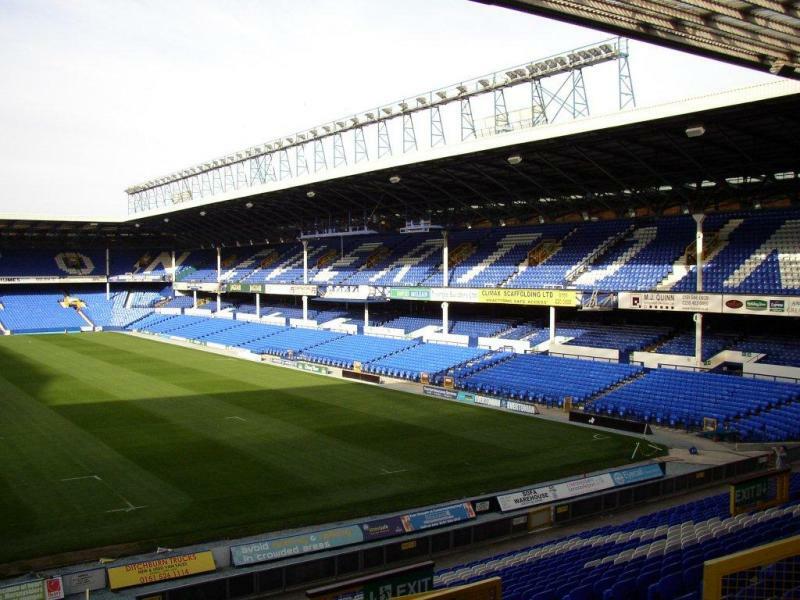 Goodison Park is located about 2.5 miles north-east of Liverpool’s city centre and Lime Street railway station. If arriving by car from the M57 (which runs east of Liverpool), take junction 4 and turn onto East Lancashire Road (A580) in the direction of the city. Follow the road for about 4 miles (after Queens Drive it changes into Walton Lane) until you see Stanley Park on your left and the stadium on your right. Rail station Kirkdale is an approximate 20-minute walk away from the ground. The station is served by regular trains from Liverpool Central Station. The journey takes slightly less than 10 minutes. Alternatively, one can take bus 19/19A, 20, or 21 from Queen Square Bus Station (almost opposite Lime Street rail station), or line 311 and 350/351 from Sir Thomas Street (in the city centre). 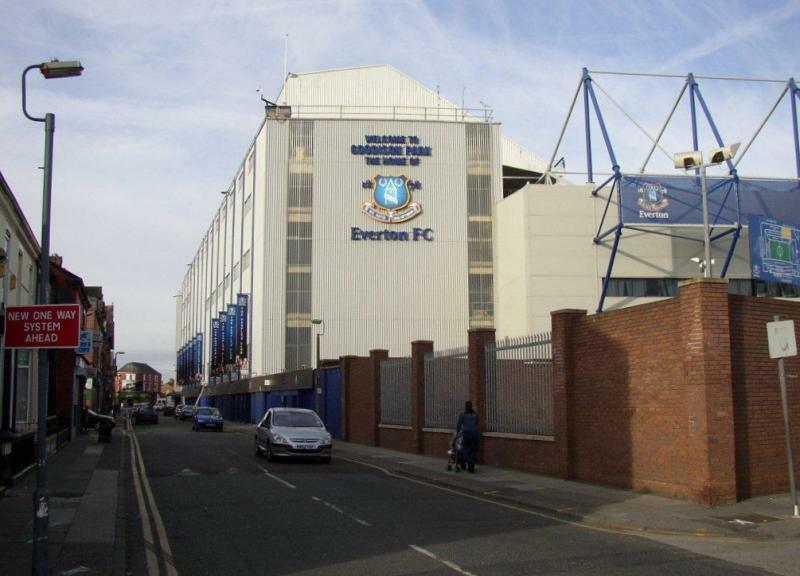 On matchdays Everton run shuttle buses from Sandhills Rail Station (north of the centre) to Goodison Park. 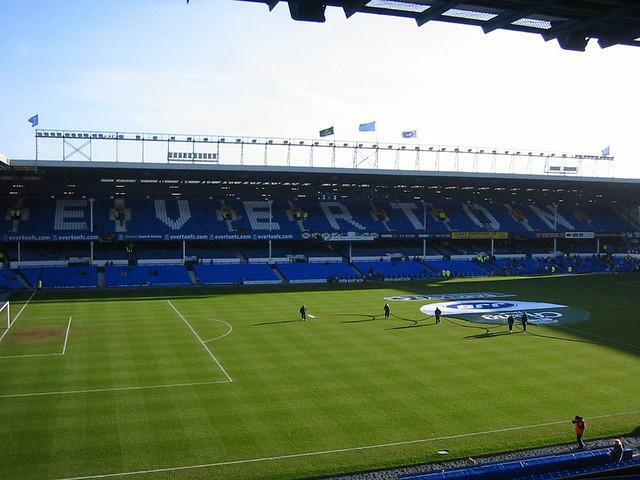 Goodison Park is located in a quiet residential area, bordered by St Luke’s Church and Stanley Park. 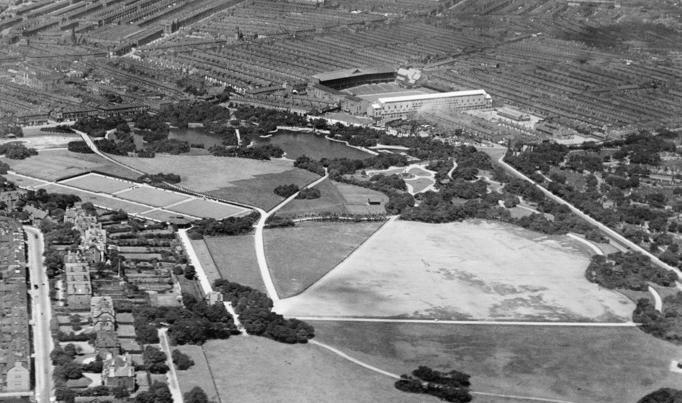 On the other side of Stanley Park, just half a mile away, lies Anfield. While there are a few pubs and fast food places in the vicinity of the stadium for pre-match drinking and some food, there are many better options in Liverpool’s city centre. 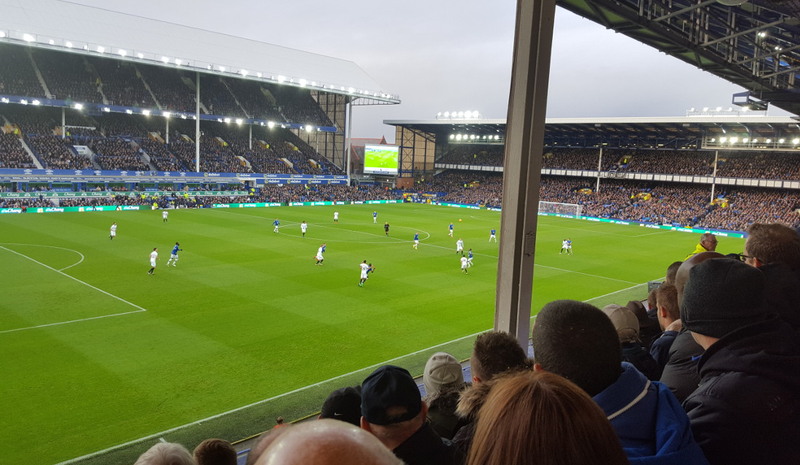 There are no major hotels in the area around Goodison Park, but a few smaller guesthouses and B&Bs for those wishing to stay as close to the stadium as possible. 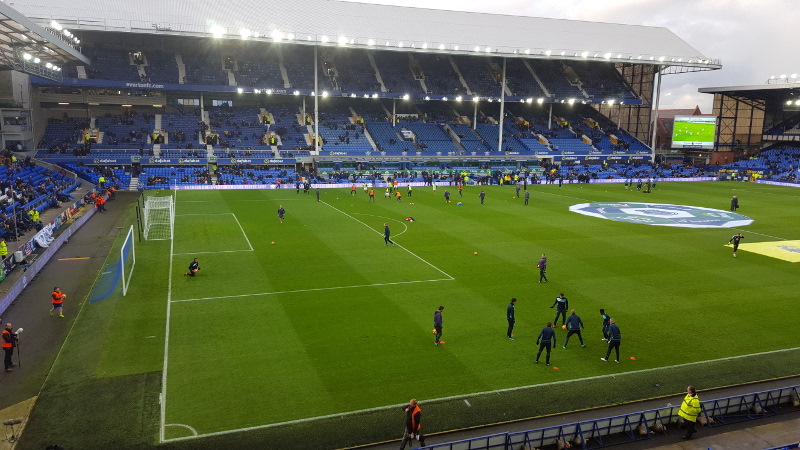 Click here for an overview of available hotels near Goodison Park. Most people, however, will decide to spend the night in Liverpool’s city centre, or even travel in from other destinations in the UK. Tickets for Everton games can be bought online, by phone +44 (0) 871 663 1878, or at the Box Office at Goodison Park. The Box Office is also opened on matchdays until kick-off in case tickets remain available. 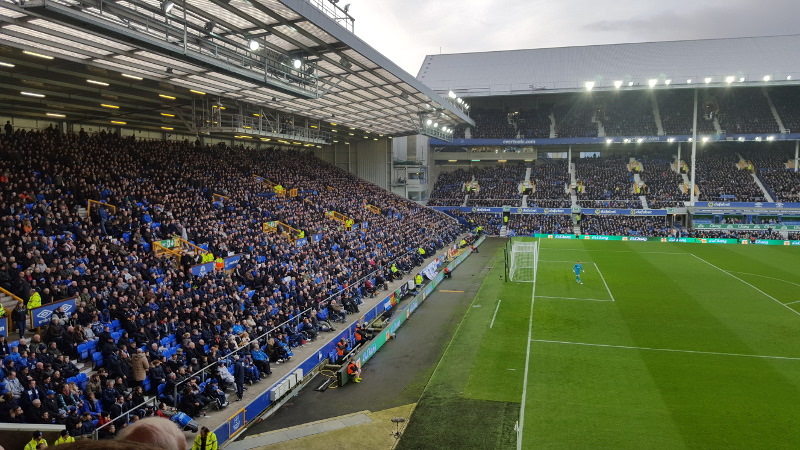 However, Everton increasingly sell out and it is advised to book in advance as soon as tickets go on general sale (which is usually a few weeks before the fixture) to avoid having to settle for a ticket with restricted view. If sold out, tickets may also be available through Stubhub, Everton’s official ticket market place. 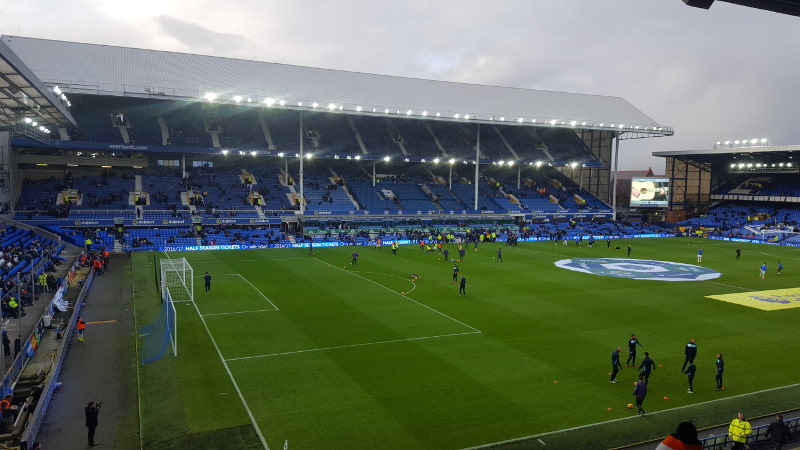 Everton have divided their home matches into three pricing categories. Tickets in the cheapest Category C range in price from £36.00 for a lower-tier seat at the Bullens Stand to £42.00 for a seat at the Park End. Tickets for category B matches cost £3.00 more, and those for category A matches another £4.00 more. You can find a seating plan here. For more information call +44 (0) 871 663 1878 or email servicedesk@evertonfc.com. 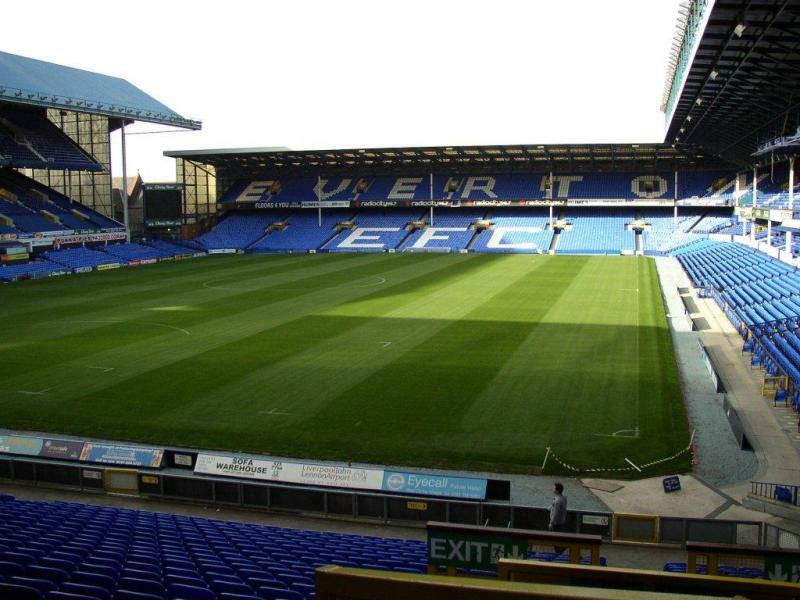 Everton organise guided stadium tours that include visits to the dressing rooms and players tunnel. Tours last about 75 minutes. Tours generally run on Monday, Wednesday, Friday, and Sunday at 11:00 am and 1:00 pm, but schedules can be revised so make sure to check the official website for the latest times. There are no tours on matchdays or the afternoon before a match. Booking is required and can be done online. The tours costs £12.00. Evertonfc.com – Official website of Everton FC. 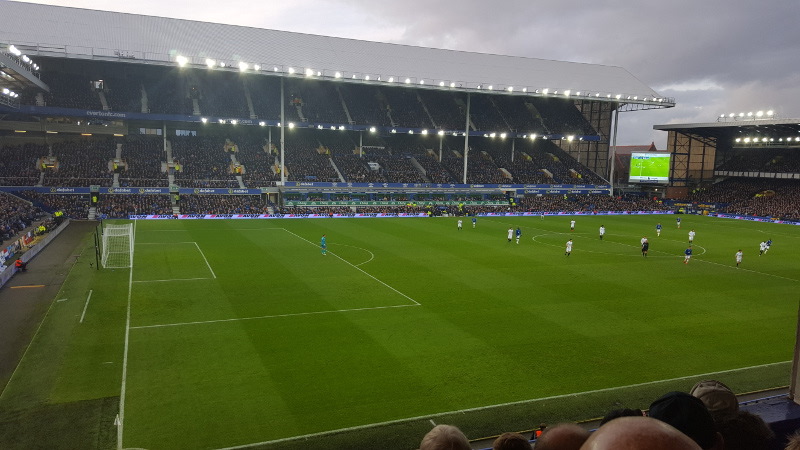 Goodison Park is an iconic stadium which, in the mid-1960s when I first attended, was one of the leading stadia in England as evidenced by its selection to host important World Cup matches. The crowd has always been extraordinarily partisan though the atmosphere ranges from quiet to raucous very quickly. Goodison is still a bear pit but it’s coming to its natural end. I will never go back to this ground. 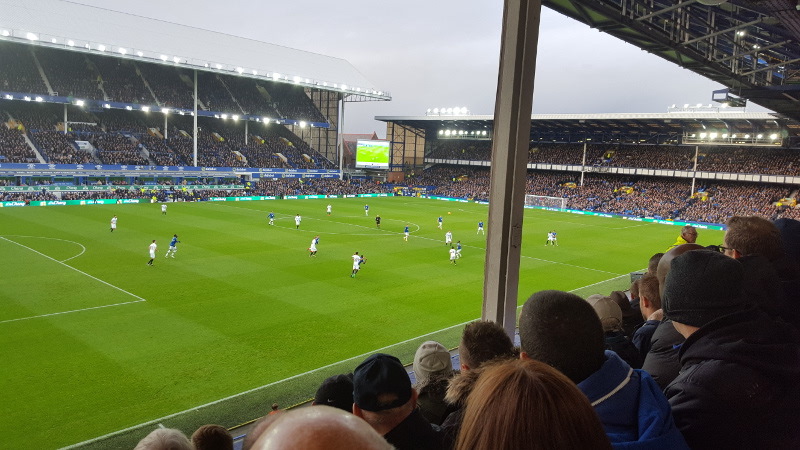 I did like the mixture of new and old stands at Goodison. The big main stand has to be one of the oddest stands I have seen. The stand I was in though was frustrating as I had a restricted view. The reason I won’t return though is that my team was walloped!!! !